For more than 40 years Mercator has been at the forefront of Lighting and Air Movement design, bringing you the latest in fashions and trends to compliment your home. With a strong dedication to Product Development and an ongoing commitment to excellence, Mercator dedicates itself to exceeding the expectations of our customers through first-rate service, technical back up and after-sales support. Featuring a full range of domestic and commercial Lighting and Air Movement products, all of which comply with Australian wiring regulations, Mercator prides itself on providing high quality products at value for money prices. When you buy a Dakota Exterior Wall Bracket online from Temple & Webster in Australia, we make it as easy as possible for you to find out when your product will be delivered to your home in Melbourne, Sydney or any major city. You can check on a delivery estimate for the Mercator Part #: MX4911BLK here. 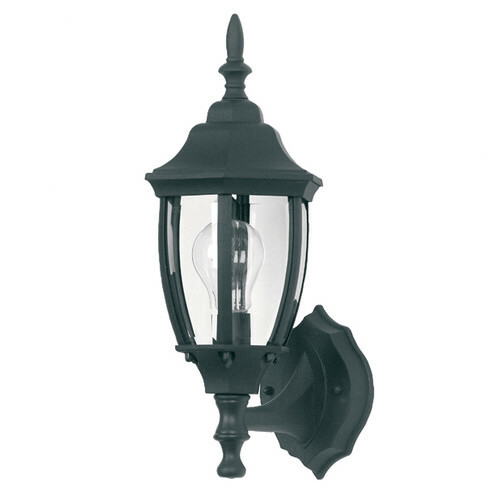 If you have any questions about your purchase or any other Outdoor Lighting product for sale our customer service representatives are available to help.Whether you just want to buy a Dakota Exterior Wall Bracket or shop for your entire home, Temple & Webster has a zillion things home.